While working hard to make an indelible mark in the media and his career in general, Bola Ray, has also shown commitment to keep his family-life thriving. Undoubtedly, he is one of the few Ghanaians media personalities whose wings have expanded to touch Africa and global. But the chief executive officer of EIB Network knows when it is time for family and when it is work time. Known in private life as Nathan Kwabena Anokye Adisi, Bola Ray has three adorable kids and is married to Dorcas Adisi. In March this year, the couple renewed their twelve (years) of marriage vows. They have been nicknamed the ‘Power Couple’ because of their influence on the lives of many. The renewal of his marriage vows also coincided with his 40th birthday. 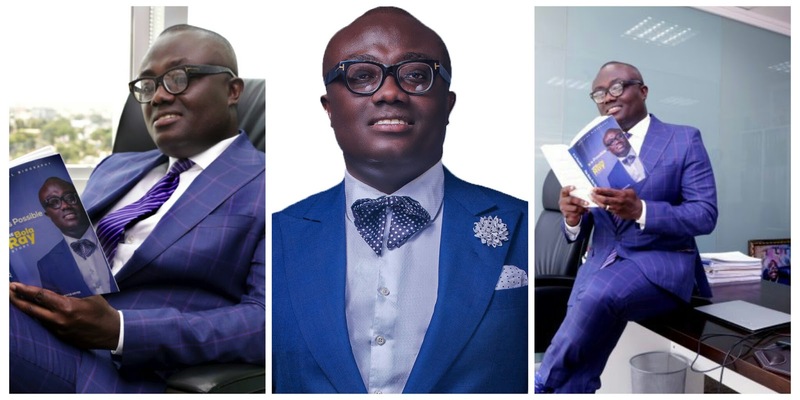 This same year, the ‘Ghana Meet Naija’ inventor, Bola Ray launched a book titled ‘It is Possible’. The book spoke extensively about his life, family, work, personal aspirations and other parts of his life that prior to its release was not known. He became the CEO of EIB Network in 2014 after parting ways with Joy FM where he worked for eleven years. He is also the CEO of Empire Group of Companies. Under his management, GHOne, a subsidiary of the EIB Network was awarded the Best TV station of the year at this year’s Radio Television Personalities (RTP) Awards. He is also the host of ‘Revealed’, a TV show on GHOne.